King-Bur Farms, Insulation Building Supply, Inc. Comment: Only part of our basement walls are insulated. And I believe we need more insulation up in the attic. Comment: 2,200 sqft house with a walk out basement and 400sqft attached garage. 50% of the garage walls were not previously insulated, all other exterior walls have existing fiberglass wall insulation. Only need exterior walls insulated with spray foam, all walls are non-masonry except for portions on the basement. Small portion of garage wall is masonry, but can be accessed from the inside, drilling through drywall. 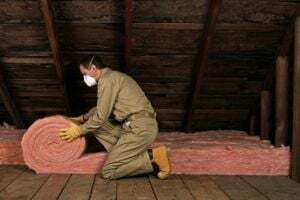 Comment: 1050 sq' attic in Ortonville - Currently has fiberglass roll R10-R13. Looking for quote to blow in and upgrade to R30. Ortonville Insulation Contractors are rated 4.62 out of 5 based on 904 reviews of 12 pros. Not Looking for Insulation Contractors in Ortonville, MI?